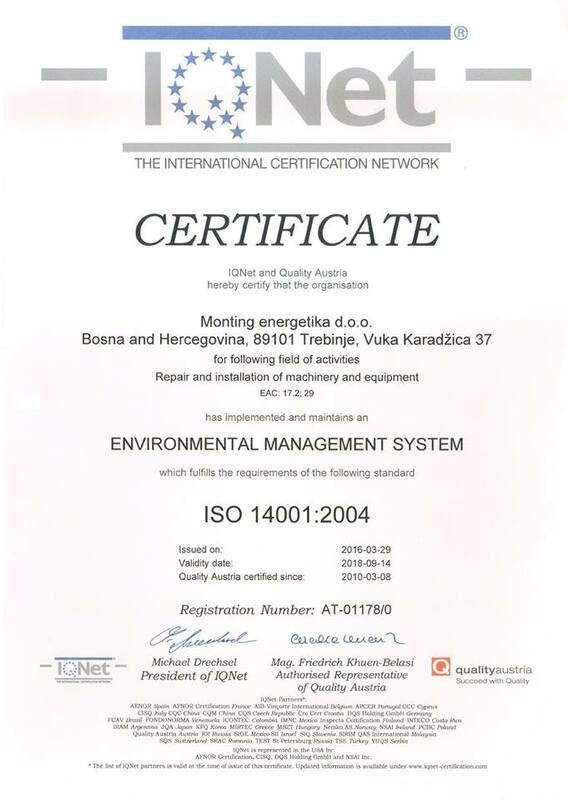 MONTING-ENERGETIKA Ltd. is one of the modern private enterprise for metalworking in Herzegovina. 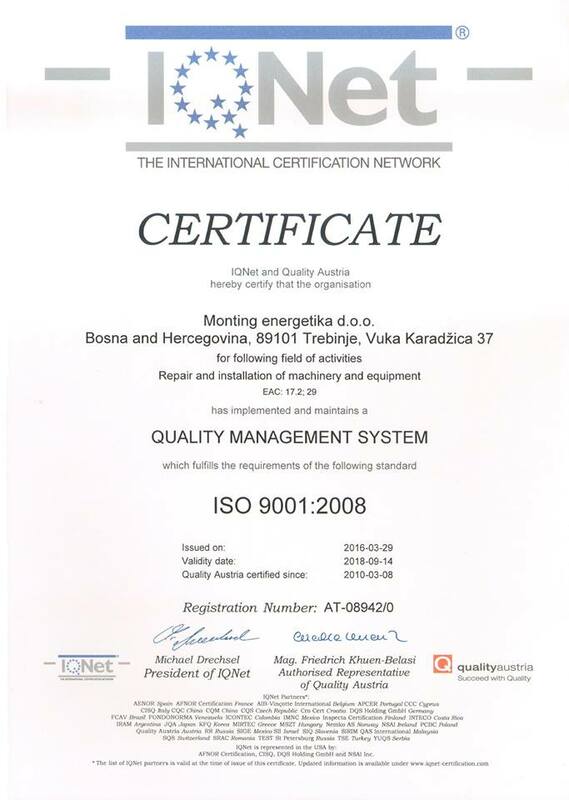 It was founded in Trebinje in 2001. The company is engaged in the production and installation of process equipment, metal structures and spare parts for different industrial facilities. 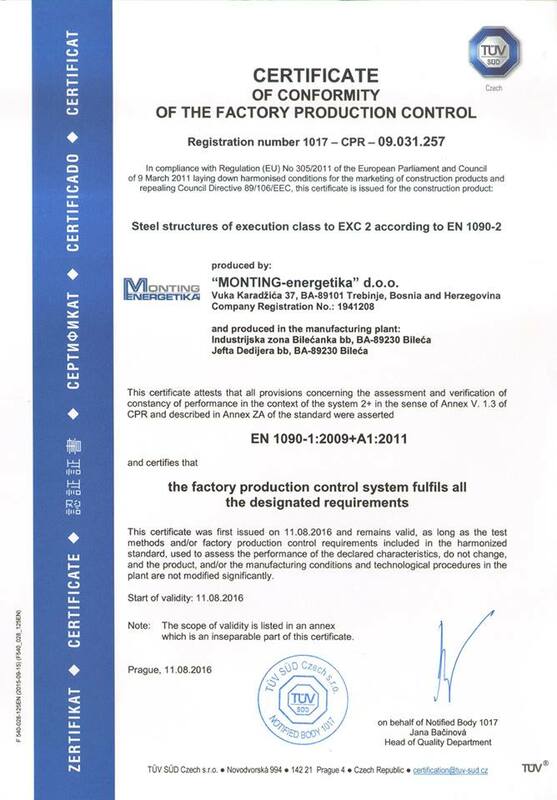 Manufacturig processes are improved in according to the market requirements, with continuous expansion of the strucutres of products and services. 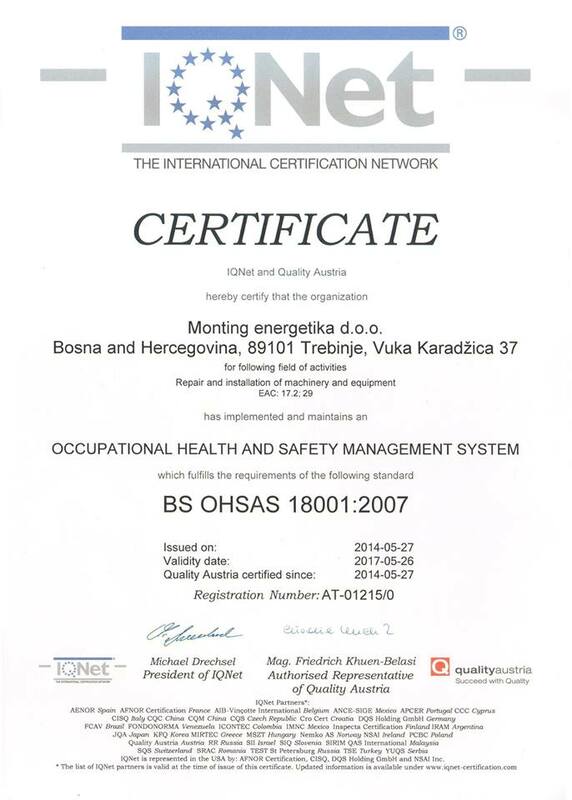 With the improvement of the quality MONTING-ENERGETIKA increasingly becoming recognized company in its branch. 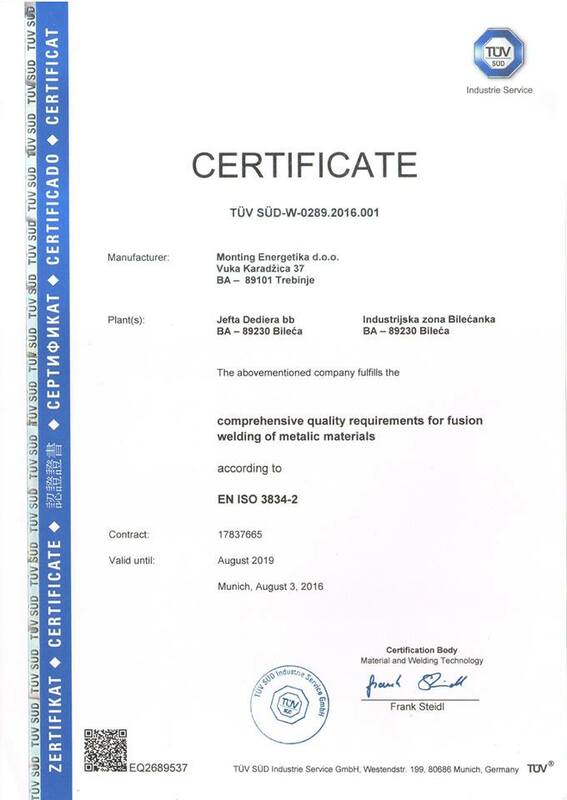 It was acquired valuable experience in production process of equipment and metal structures. Using the transfer of knowledge and technology, as well as continued investment in staff and the latest technology through the purchase of new equipment the level of productivity and product quality was considerably raised. In recent years, substantial resources have been invested in modernization of enterprise. Today, in production plants in Bileca company dispose with more then over 7,000 m2 of workshop space and over 2 ha of open space.